Christy Hodder is the founder and Director of the amazing Scotia Suzuki School of Music in Halifax, Nova Scotia. This new school, for the most serious students in the pursute of music study, is the top string/music and Suzuki education school in Nova Scotia. It has a strong and thriving family community. The School starts children learning in the SECE prgram at birth and takes them through all 10 Suzuki book levels through strong programs preparing them for auditions into our collaborative friends, The Nova Scotia Youth Orchestra and Dalhousie University. 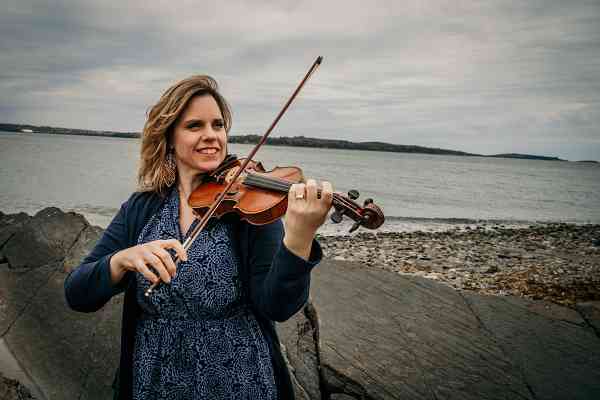 Christy has her Bachelor of Music Education from Acadia University where she studied violin from Edmund Agopian. Christy has received Suzuki training from Ronda Cole, Pat D’Ercole, and Martha Shackford. She is the Founder and Director of the Scotia Suzuki School, the Nova Scotia Youth Ambassadors (performance group) and the Nova Scotia Suzuki Institute. With three recordings and 8 years as the lead in the Celtic conference band Lochaber, She is experienced in performing. Christy has built with a wonderful team of Suzuki instructors in incredible Suzuki community of high level players and brought music into families homes and children’s lives in Halifax and even extending from Bridgewater, Windsor and to New Glasgow.